Great news! Underground Cellar like the post about them so much that they offered to donate some gift cards to my followers! So here is the Underground Cellar Giveaway! Click and Enter to win! Domaine Horgelus Sauvignon Blanc & Gros Manseng, 2013, Côtes de Gascogne, France. $6 from Astor Wines, NYC. 12% ABV. Here’s why: the color of this wine is a transparent light straw. The nose is grapefruit with a touch of lychee, sniff deeply and you’ll find the B.O./funkiness that makes unfiltered Sauv Blanc infamous. 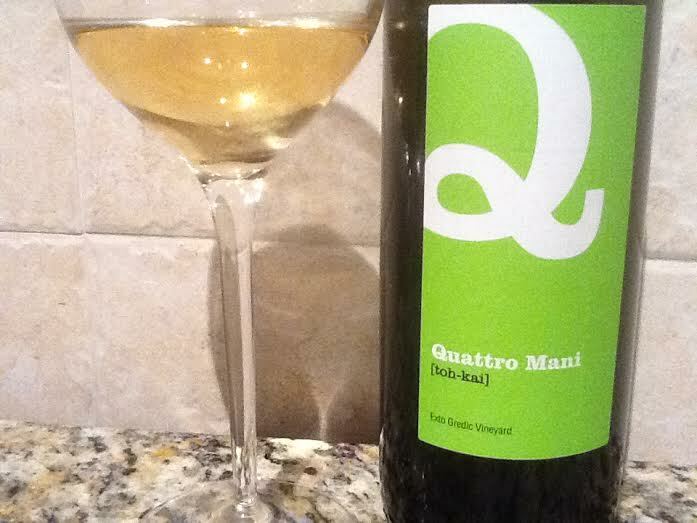 In the mouth, this is delightfully fresh, popping bright citrus with gentle acidity and delicious tartness. Secondary notes of minerality just make you want to drink more. I think I’ll order a case of this, and another for the party I’m having in a month. The only problem I have with this wine is that at this price point, it’s going to get more expensive. It could easily sell at $15/bottle, which is what I would have expected to pay after my first taste. You evil, terrible, smooth criminal. You take my gold watch and I admire you for it, like Jesse James, the outlaw turned folk hero. Next time I see you, you’ll cost me even more to enjoy. In the meantime, the townfolk might as well enjoy the benefits of a well-made wine for a great value. Best served well chilled, you might just hide out in the cooler with this to prevent your friend from asking for a glass. Enjoy it while it lasts, it can’t last for much longer. People are surely going to find out. The modern marketplace is full of places where you can buy wine, and pitfalls that accompany them. When something interesting and trustworthy comes along, I want to share it with you! I ordered from a wine website recently called Underground Cellar. They are not a wine club, but sell specific wines with a unique angle: any and every bottle you buy at one price from a producer enables you to get an upgrade to a significantly more expensive bottle. There’s a little bit of gamble to it, and a little bit of fun. I was intrigued by their site, and like everyone, I like a good bargain. So I took a chance! I went online, signed up and reviewed the options. 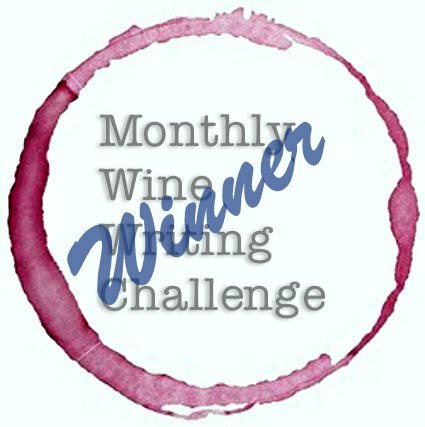 I saw an offer for a 90+ point $20 red& white blend with a possible $50 upgrade. It sounded too good to be true, but the optimist in me won over the New Yorker, so I signed up and purchased six bottles, selecting ground shipping. Within a week, the wines arrived at my door. I opened the box and found four bottles of Tess Winery’s Red & White Blend and two bottles of Napa Valley 2001 Peju Province, Estate Bottles Cab Sauvignon. From a price perspective, I did a quick search and saw that one of my local wine merchants sells the Tess for $19.99 (cool) and I saw the Peju online for $66/bottle. Score one for value. Now, would I like them? 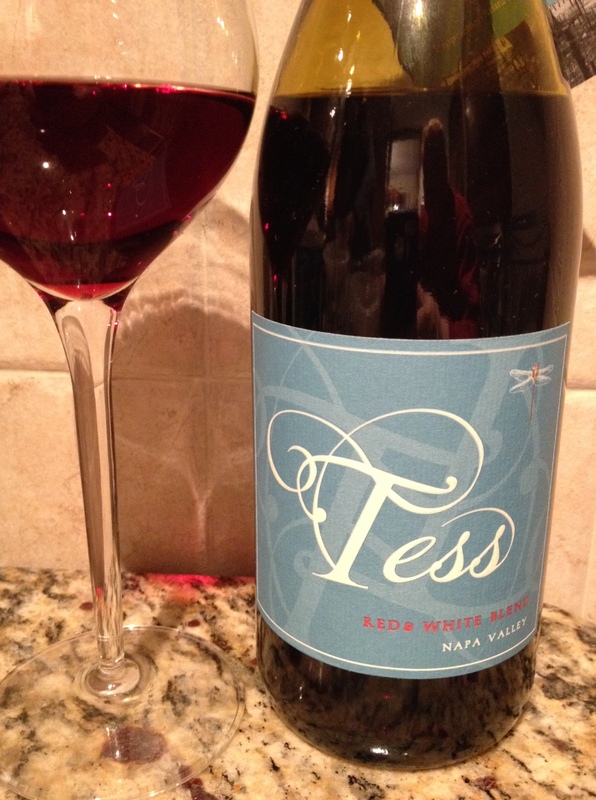 The Tess Proprietary Red Blend 2011 was a new one for me: a red and white grape mix. This blend actually features Cabernet Sauvignon, Merlot, Petit Verdot, Zinfandel, Chardonnay and Sauvignon Blanc. I was curious and a tiny bit worried for just a moment, until I poured and tasted. 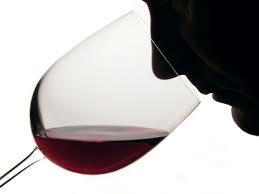 Bright vivid red in the glass, with a nose of fresh cut flowers, berries and herbs. On the palate, a burst of raspberry, strawberry, and a hint of melon. This could be an ideal summer red, with far more body than a rosé wine yet with the whimsy of a great pinot or sauv blanc. After tasting the wine, I tried it with fish (great pairing) chicken (great pairing) red meat (good pairing) and veggies (great pairing) and was surprised that I haven’t seen this kind of wine before. Well, I expect we’ll be hearing a lot more from the winemaker Sarah Fowler and proprietors Ariana and Lisa Peju. With good depth for a younger wine, lots of notes with more than a dash of whimsy, you’ll drink this with friends and enjoy it time after time. Tess Winery joins the ranks of small California winemakers (organic certified, to note) to keep an eye on! 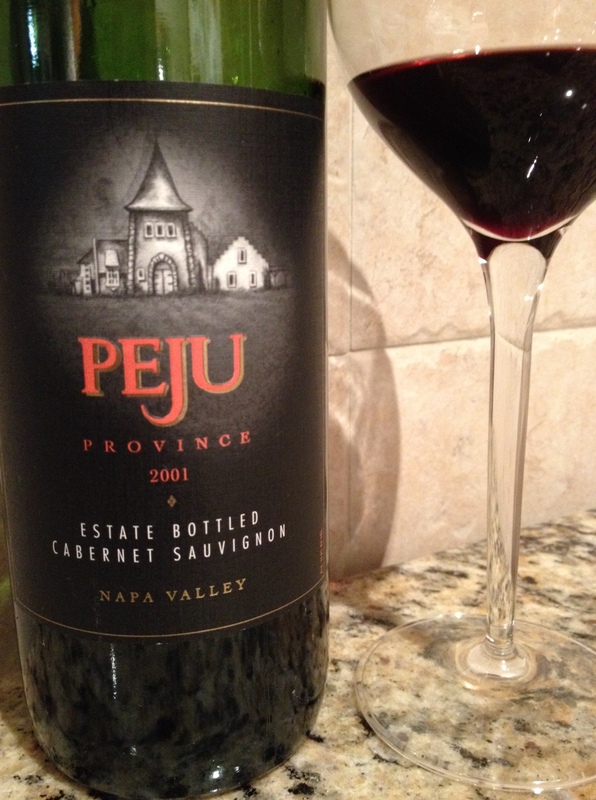 I waited until I had a red meat pairing on the menu at home to open the Peju Province 2001 Estate Cabernet. The color is a deep maroon with fading edges, while the nose showed cassis, dried rose petals, leather, earth, and oak. The age on this is apparent, and the first taste was an inspiration of classic Bordeaux. This teenager is mature, established, and a force to be reckoned with. Decanting half the bottle and letting it breathe for 30 minutes was a smart move. Another taste confirmed the first but time had allowed a huge amount of growth that might have required hours in the glass: excellent depth, complexity, showing relaxed floral notes, older fruit (cassis, red currants, cranberry) and mellowed tannins. Very nice winemaking, a pleasure to taste, and a huge bargain at $20 for the bottle. I furiously made cellar notes for the remaining bottles and plan to open them with friends at a beach party this summer. I was happy to have met Tess and Peju wines for the first time, and tried the Underground Cellar. It was an exciting gamble, and one that paid off nicely. With a little research, you can get both stunning bargains, high quality, and good service. You know I’ll be going back for more. As a parting note, I haven’t even mentioned Underground Cellar’s Influence Points, Referral Program, or free wine storage- until now. More reasons to check them out, just in case you needed them. Wine School with the NY Times! Have you ever wanted to attend wine school? I have. There are so many resources available in Manhattan, but my schedule tends to compete with all of them. So I was intrigued to see Eric Asimov’s post in the NY Times on March 12th: Get Out Your Corkscrew / Wine School by Eric Asimov. In this article (click on the above link) Asimov introduces his casual, online/in print wine school has no pre-requisites or even in person attendance. As a matter of fact, the only cost is buying the wine. This month, he provides an introduction to the concept of wine school with the goals and terms involved. Tasting homework from this month is from the famed Bordeaux region with three wines to try (expecting readers to try one, maybe two) from the stunning 2009 vintage in the $30-60 range. Asimov’s post explains succinctly the goals of wine school which should ease the minds of most of the wine lovers out there. This is no haughty, heady, sommelier’s wine discussion. Rather, Asimov has created this monthly column “to help create an atmosphere of pleasure, attentiveness and curiosity about wine that will lead to knowing what you like, what you do not and why.” Seems straightforward enough, and removes the daunting feeling so many people have when faced with a massive tome of wine at a restaurant or the smug smile of an ancient sommelier looking down his nose at the unwitting diner looking for a reasonable, pleasurable glass or bottle. Most importantly, Asimov has removed the stress from the tasting by 1)citing that the process is to enjoy these wines by drinking & enjoying the wine & food pairing experience, as opposed to simply tasting a wine , speculating and spitting; and 2) not putting pressure on the reader to speak out or answer in a public forum unless they want to. Readers are encouraged to post responses, and the list is already lengthy with cheers and some jeers from those who find even $30 bottle too pricey. Those readers do seem to ignore that they get the entire bottle to enjoy at home, compared to what would be a much more expensive hour for a wine lecture, parking, and a one ounce tasting pour in a New York City tasting environment, but you know what they say: Everyone’s a critic. While my cellar has cases of 2009 Bordeaux laid down to rest, I’ll be seeking out a bottle to match this conversation and open without regret, since I was taught at a young age that a great Bordeaux vintage should be at least ten years old to fully appreciate it. While those lessons and wine rules have all but been tossed by modern society, I still fear the pangs of regret- so buying new it is for me! I’m ready to enjoy, and am thrilled that Asimov has taken the cup to the people. Are you ready to taste with us? Join in, if you have the slightest inkling- I think it will be fun!